Pennsylvania State Representative Stephen Kinsey (201st District), Gamma Omega 1979, welcomed the “Kappas on Capitol Hill” delegation of the Philadelphia Alumni Kappa Alpha Psi® Fraternity, Inc. to the state capitol in Harrisburg, PA. 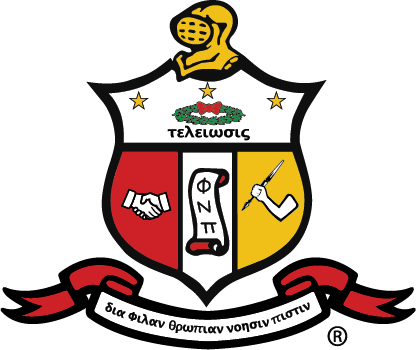 The Pennsylvania House of Representatives recognized October 16, 2018 as Kappa Alpha Psi Day in the state of Pennsylvania with HR 111 Brother Kinsey. Kinsey recognized Philadelphia Alumni dignitaries including Polemarch L. Douglas Harrell Jr., Vice Polemarch Atty. Damian Jackson (Delta Eta 1987), Past Polemarchs Louis A. Williams Jr. (Alpha Delta 1973) and Darryl Stephens (Gamma Omega 1972), Senior Affairs Committee Chairman Junious Stanton (Gamma Omega, 1966). Kinsey also honored Brother Pennsylvania State Representative Harry Lewis (Delta Chi 1960), a 58 year brother of Kappa Alpha Psi®, who is retiring from his honorable service to the 74th Legislative District.